I've been a big fan of this book and I'm happy to report that it's as gorgeous and weird as ever. While there are a few poorly paced scenes that distract from the main encounter between Batman and Scarecrow, I still had a lot of fun here. The art was simply brilliant and beautiful. This might be the best-looking issue of the series yet, mostly in terms of composition as Kelly Jones is clearly trying new things and also clearly having a blast doing it. The first page in particular is a stunner. Any aspiring artist should look at these pages and they'll walk away with something they've learned. Jones' style may not be for everyone but his storytelling ability is what sticks out to me the most. I'm also liking Scott Peterson's story. I mentioned the poorly paced scenes earlier. They involve Jim Gordon as he tries to determine where Scarecrow is, and I was confused for most of this extended scene. I really don't remember if the character Gordon interacts with was mentioned or seen in a previous issue, and I was simply lost. Peterson's voice, when it comes to Scarecrow, seems much fresher than a lot of the different takes I've seen of the character. 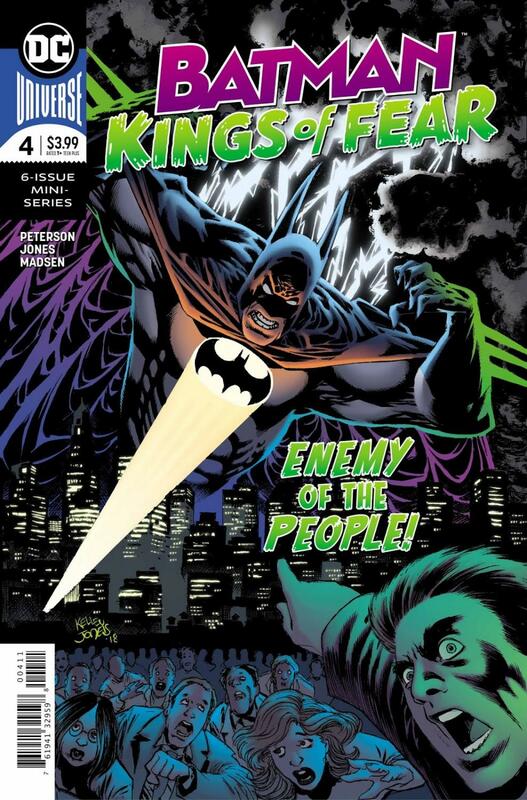 There's a methodology in his words that I haven't seen before, and his systematic breakdown of what Batman even is stands out as the most interesting bits of this issue, plot-wise. Check this out if you haven't. Or pick the trade up when it's out. This is a really fun and beautiful story that every Bat-fan should check out.